How to Shut off water to your house in case of flooding. 1 – Shut off the water to your house. 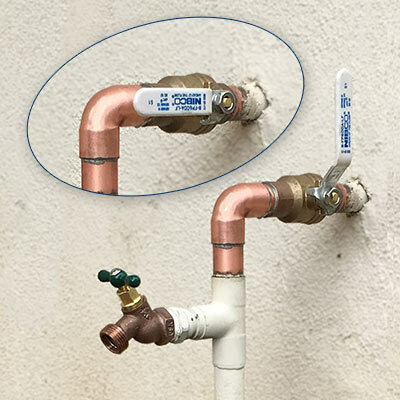 2 – Relieve the pressure in the water system. 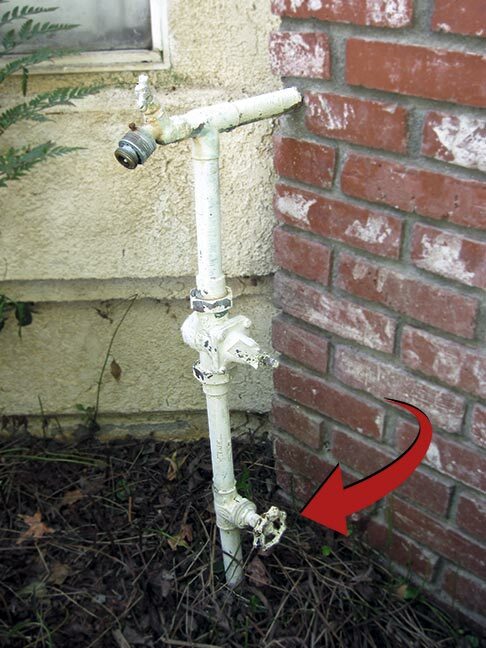 3 – Can’t find your main water shut off valve? Call the City or Water Department! The first part is obvious, but a lot of people aren’t aware of relieving the house water pipe pressure. 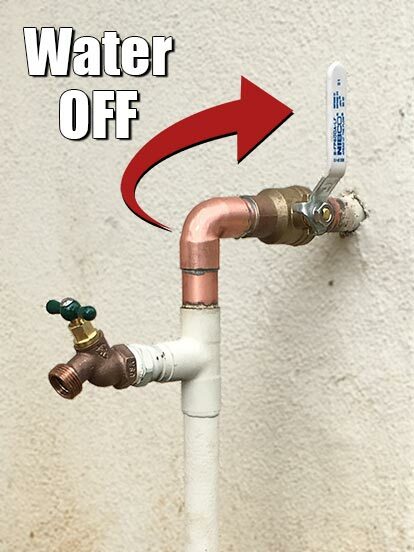 A lot of times, your main water shut off valve will not 100% shut off. Even if the valve was leaking a small about, this water will continue to flood into your house. Where is my house main water shut off valve located? Sometimes this can be very tricky. Look for it in the front of your house. It’s usually where your garden hose is connected. It also may be partially buried in the dirt or under leaves or debris. 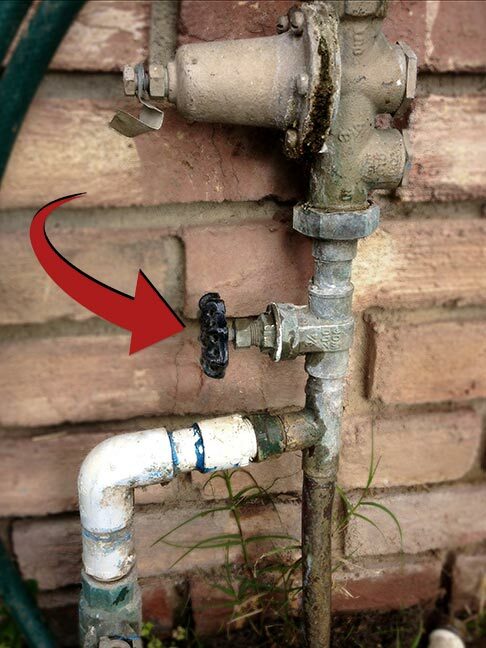 The following photos show possible, as well as unusual areas where your main water shut off valve may be located. 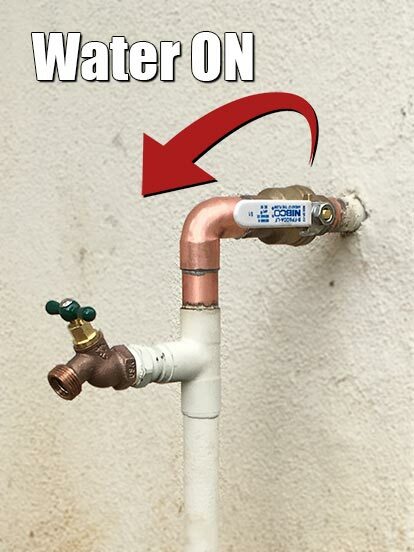 Being able to shut off your house water is VERY important! 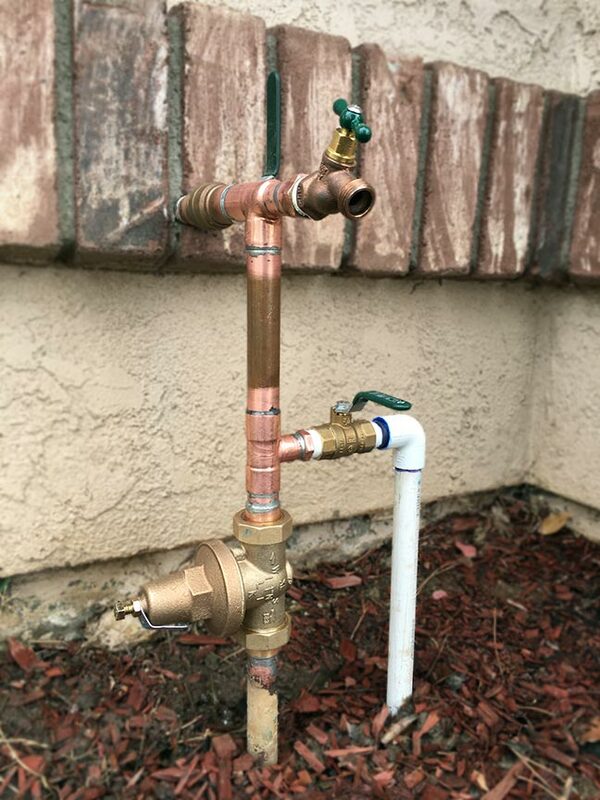 When you have a broken water pipe that’s due to the line wearing out because of an earthquake or other natural disaster, being able to 100% shut off the water to your house can easily be the difference between a simple annoying water clean up, or situations that can cost tens of thousands of dollars. Whenever having plumbing work or repairs done, always insist on Full Port high quality Ball Valves. 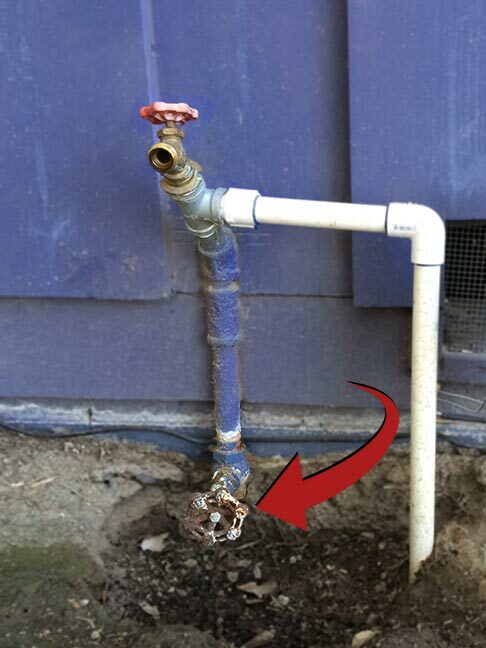 Some handymen or lower skilled plumbers may try to use cheaper Gate Valves. But the price difference for a good Ball Valve is well worth the money. 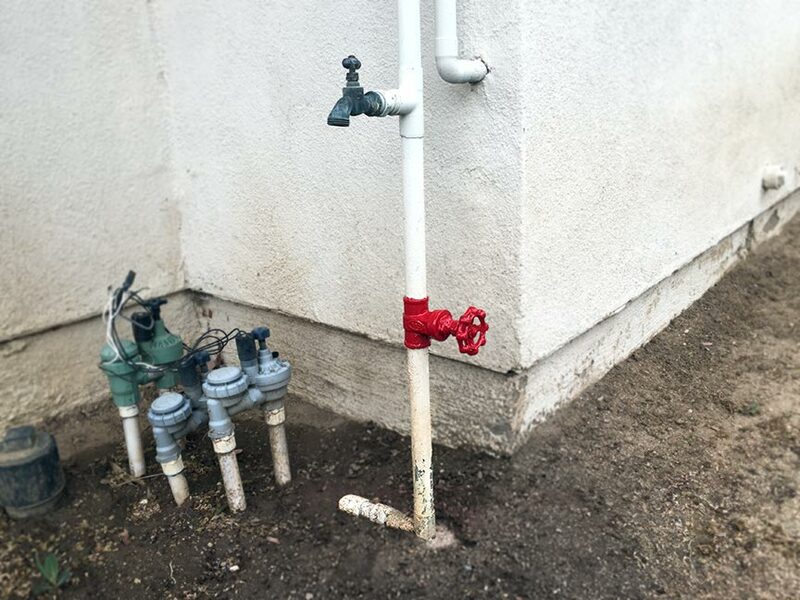 The following photo shows a Wrench Re-Pipe professionally rebuilt Water Service Array, complete with water Pressure Regulator and Ball Valve shut offs to the house as well as the irrigation / sprinkler system. An aspect you may be interesting in (in the above photo), is how we configure water service arrays. With this set up, the House water supply and Irrigation water supply are independent. You can shut off the water to the irrigation, and the home still has water. You can go on vacation and shut off the water to the house and the irrigation still works. You can shut off the water to the house AND irrigation and you still have a love hose spigot / bib. It doesn’t get any better than that! Shutting off the water to your house is a GREAT idea to eliminate the chance of flooding! With the set up you want, your irrigation can remain on when you’re away for the weekend or on a longer vacation. If your home has an old or non-working water shut off valve, please let us know if we can take care of it and re-configure your water service array. If you ever have an emergency flood, or are the victim of a natural disaster, it’ll be the best money you’ve ever spent! You deserve great Wrench Re-pipe work! Schedule Work Estimate Info EMERGENCY!